Content and Sharing, Part 2 | Real Web Marketing Inc.
One of the things I learned from this book was that, as I had long suspected, that it is not enough to simply write good content and put it up on your website. Despite what Google has been telling us for 4+ years, just writing content and putting it up on your site, by itself will do nothing. You will not get tons of links coming to your site from other sites, or get tons of traffic, just by writing great content. Instead, once you write some new content, your job is just beginning. 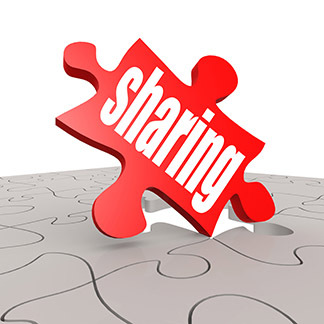 It is your job at that point to get people to share and link to your content. Basically the raw amount of content on the Internet has reached a saturation point in many different topics. Reis and Trout, in their book “Positioning: The Battle for Your Mind” talked about the vast increase in the number of marketing messages bombarding the average person – 35 years ago. In other words, they were saying in 1981 that the average American was exposed to a huge number of marketing messages. And the number of marketing messages has only increased dramatically since then. The point Reis and Trout were making then was that you had to use a positioning for your company or product in order to cut through the noise. The point Schaefer is making in The Content Code is that the content revolution is entering a mature phase, meaning that there is now a ton of content online already in almost every category. So just creating and putting up scintillating content (with no attention on distribution of that content) may have cut it 10-15 years ago, but it sure isn’t going to work today. Here are some guidelines on how you can determine if your topic or niche is too saturated with content already. “So what constitutes “saturation?” As these examples show, the higher the information density in a niche, the more difficult it will be to create outstanding content that will shine through on its own without investment in distribution, promotion, and advertising. Here are rough guidelines outlined by Penn, using Google search results as an index for relative saturation levels. “If there are fewer than 10,000 pages of returned search results, full speed ahead! There’s an opportunity for you since there is low content density. “Between 10,000 and 100,000 results, expect some resistance, but it’s surmountable with minimal investment, exceptional content, and implementation of some of the Content Code factors covered in this book. “If there are between 100,000 and 1 million search results, expect significant resistance. Competing through content alone will be difficult. Applying Content Code strategies might be the primary means of rising above this level of saturation. “A result producing more than 1 million pages of content represents a thoroughly saturated niche. Unless the content becomes a product in its own right through significant investment, Content Shock exists in this niche and is likely to bury even exceptional content creation efforts. In this situation, the Content Code strategies would be the only possibility of strategic leverage. “Examining the relative saturation in your niche is crucial to understanding how the Content Code formula will or will not work for your market. It’s extremely difficult to unseat somebody in the search engine ranking if they have dominated a niche, even if you’re doing great work. But it’s not hopeless. “We’ve established that great content is rarely enough to assure success. Great content is simply the table stakes needed to earn a seat at the table. I’m not going to cover tips and tricks about writing for the web or creating epic videos. Those topics have already been effectively covered in many other places. We’re here to plow new ground. “So here is the starting line for this race: You need great content. “Let me repeat: You need great content. But then what? In the next article in this series, I’ll cover more on Schaefer’s content ignition strategy, as well as the types of content that it is important for you to create.